Magnificent wool handmade area rug which is designed for a modern home décor. This beautiful carpet is handmade by our talented weavers in India. It is 100% suitable for a modern interior. If you feel it’s time to give your décor a makeover, then this wool carpet could just be the thing for you! 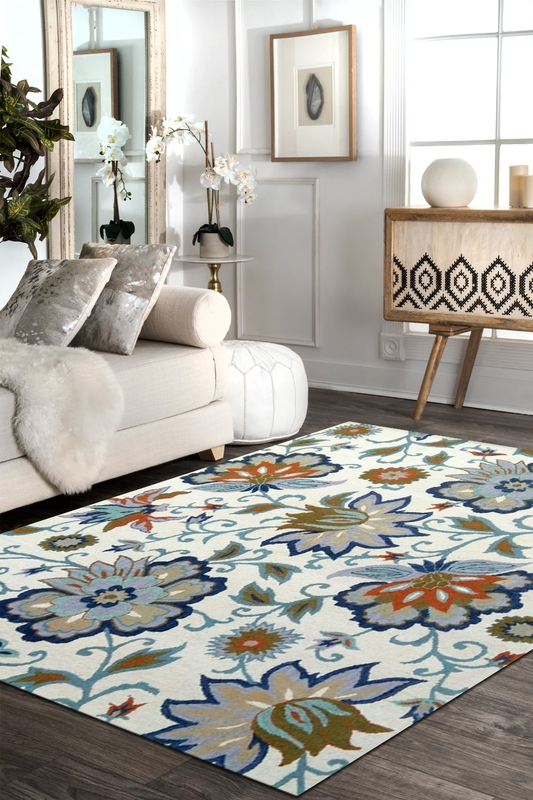 The modern floral design on this wool and cotton hand tufted furnishing looks trendy and can give your entire décor a modern makeover. This is woven in pure New Zealand wool and finest quality of cotton material. This is a highly durable carpet.